With the large risk of elbows to the face, many players still don’t feel the need to wear a mouth guard since it’s not required by league rules. Players don’t want to wear something that is uncomfortable and will hinder their ability to speak and breathe. There has recently been a stronger push to wear a guard – many top players in the NBA are beginning to see the benefits of a dental protective guard. Stephen Curry and other big stars are making mouth guards more accepted in basketball but probably for all the wrong reasons. 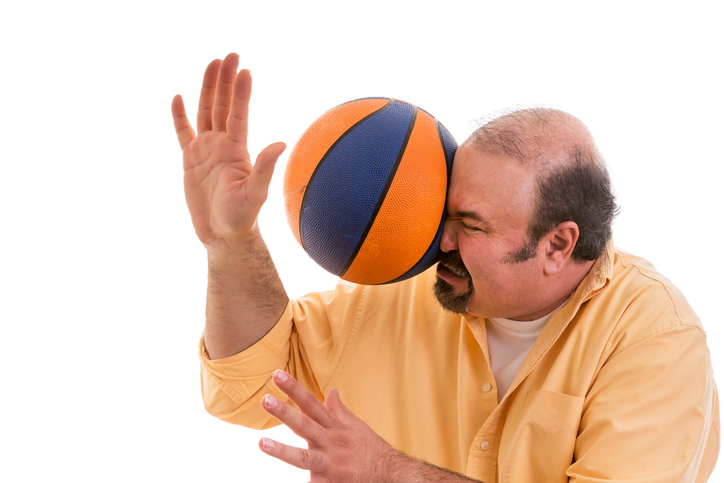 The small percentage of athletes who do wear a mouth guard while playing basketball, are often seen chewing on it out the side of their mouth, rendering it pretty much useless. Chewing on a mouth guard does your teeth about as much good as not wearing a guard at all. A mouth guard should fit snug on your teeth, it should not inhibit breathing and should stay in your mouth the entire game / practice. In addition to social push, many basketball organizations are starting to mandate dental guards on the league and overall organizational level. High schools are starting to make mouth guards mandatory for their teams. Millions spent each year on replacing teeth, it’s a lot easier and less expensive to invest in prevention of dental injuries. More awareness from coaches/parents could change for the better the mouth guard rules in basketball.